August is around the corner and although no one wants to think about school yet, it will be here before we know it. And the Virginia sales tax holiday will be here soon, too. So that means it is time to start thinking about the clothes, shoes, backpacks and other supplies your kids will need to have a successful school year. During this special week, Friday, August 3 at 12:01 a.m. through Sunday, August 5 at 11:59 p.m. sales taxes will be waived on certain school supplies, clothes, appliances and hurricane preparedness items. 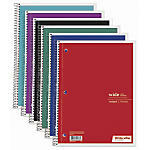 School supplies that are $20 or less, per item, are included in the tax exemption. Your clothing and foot ware purchases must have a price of $100 or less, per item, to qualify. Accessories such as handbags, jewelry, makeup and wallets, as well as sports equipment (unfortunately) are not eligible for the exemption. Hurricane-preparedness items such as portable generators at $1,000 or less, gas-powered chainsaws at $350 or less, chainsaw accessories at $60 or less qualify for exemption. Consider picking up extra supplies to donate to those in need! Happy shopping!